Remember the film Easy Rider? Ya, neither do we. But there certainly were some cool handlebars on those motorcycles. The Wald 880 handlebar screams Fonda-Hopper-coolness. 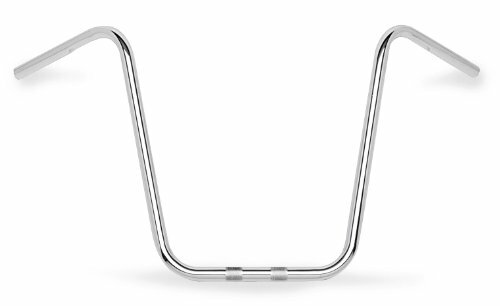 Slap this bar on your bike and you can grab a piece of American classic cinema for your own personal use and enjoyment. This chrome steel bar is 23.25 inches wide, features a 1-inch clamp area (25.4 mm), and rises 10.5 inches to truly spread your wings. Enjoy the open roads and forget your worries while Wald handlebars steer you straight and true. Banana seat and sissy bar not included. A bar for those with a slight fear of heights, this bar rises a mere 10.5 inches. 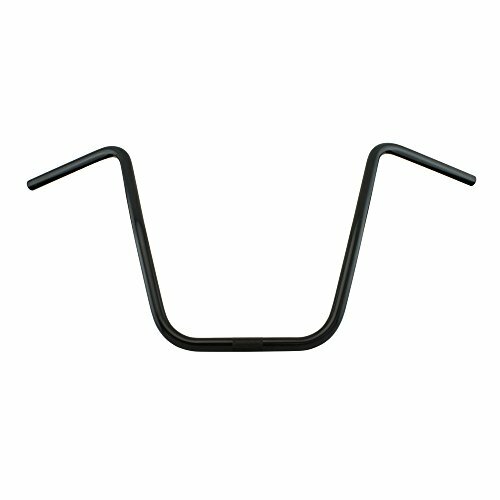 The 1-inch clamp area (25.4 mm) is a standard offering in almost all Wald handlebars. The 23.5-inch width offers a slight aerodynamic advantage over this bar's big brother, the 8069. 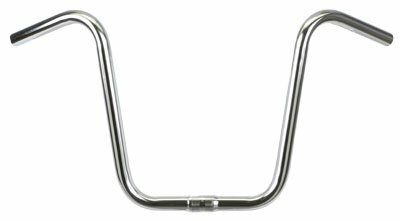 High Quality Carbon Steel Handlebars7/8" DiameterStyle: Ape HangerWidth: 32"Rise: 18"Pullback: 7-1/2"Center: 5-1/2"Please Note: The Image Displayed Is Representative of the Item, but May Vary Depending on Your Specific Model. Ever want to pick up your dry cleaning while riding home from work? 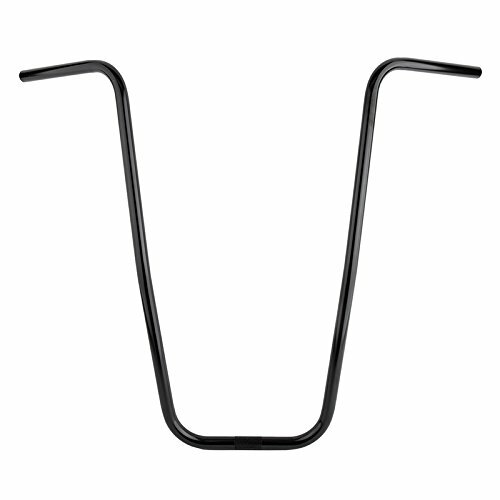 The Wald 8069 handlebar provides an industry-unique feature: clothes hanging compatability. With a meager rise of 13 inches, you could hang a half dozen shirts on the handles easily (provided you remember to stow the bags so they don't get caught in your spokes). 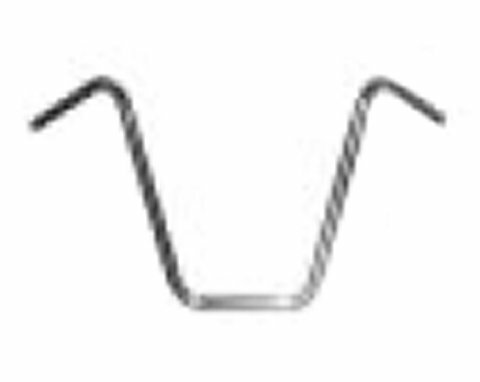 This bar features the proven 1-inch clamp (25.4 mm), rises 13 inches to the handles, and measures 24.5 inches across. There are endzone uprights with shorter reaches than these pillars of chrome. 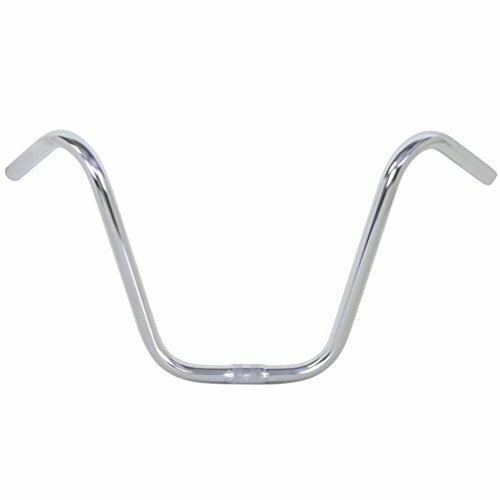 Sporting style handlebars to suit most riding positions. 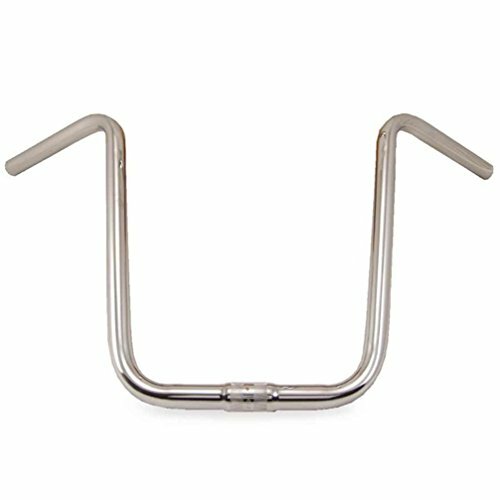 High quality carbon steel handlebars. 7/8" diameter, available in chrome or black finish. 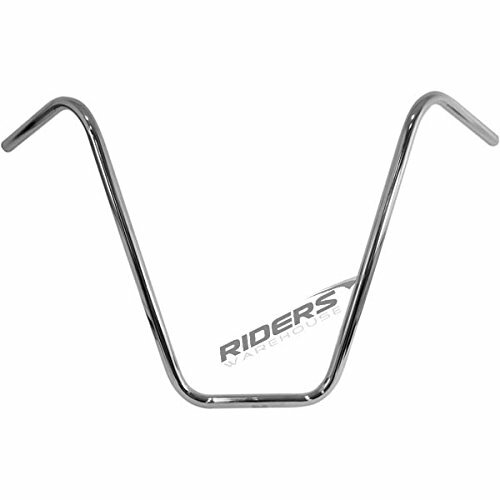 Width - 24 1/2" Rise - 6" Pullback - 15" Center width - 6"
High Quality Carbon Steel Handlebars7/8" DiameterStyle: Ape HangerWidth: 32"Rise: 16"Pullback: 7-1/2"Center: 5-1/2"Please Note: The Image Displayed Is Representative of the Item, but May Vary Depending on Your Specific Model.